Alexander Scott: I'm going to need a couple of jars of jelly on the plane and two parachutes. This is a re-make of sorts, not from a movie but from a television series that made history when Bill Cosby became the first black actor to star (or co-star) in a regular TV show. He and Robert Culp played in the show of the same name. 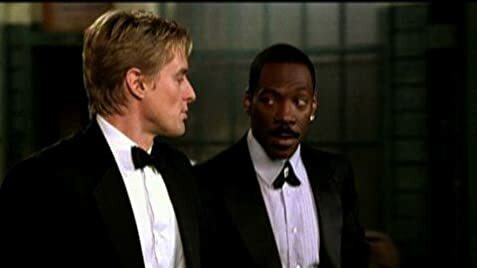 Here, Eddie Murphy plays Cosby's role and Owen Wilson takes over Culp's character. As funny as Murphy has been over his film career, I, for one, have gotten tired of his loud and abrasive characters. It's getting tiresome. Even in the animated hit, "Shrek," Murphy was loud, too talkative and obnoxious. He can't seem to get away from that kind of character. 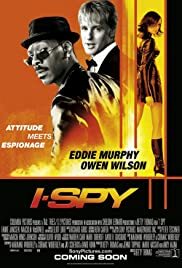 Wilson was more likable in this film and Famke Janssen was interesting. There are a few wild action scenes in here and this film is played strictly for two things: comedy and action. Another thing: it should have been rated "R," not PG-13. Overall, the story is lame but it is entertaining so, for that, it's worth a rental.